Hiring our services is a great way in which you can deal with all of the hassle of moving a home. At Moving Service we understand how tough it can be to fit everything into your already busy schedule, which is why we aim to focus on the kind of house removals in Muswell Hill, N10 which let you relax while we take care of the difficult work. With this in mind, rather than having to worry and stress about how best to approach all of the moving needs, you can simply give us a call and allow us to handle everything for you. Moving your furniture is one of the most difficult parts of the moving experience. Because of various shapes, sizes and weights of the furniture involved, moving everything can be very tough. That’s where expert help becomes so handy, with our man and van movers able to help with all sorts of furniture removals regardless of the shape, size, or the sheer awkward nature of the items in question. To find out more about how we can help you, just call us now on 020 8746 4402 for a free quote. If you are interested in the London borough of Haringey, then this area is likely a name which you have come across already. With a long history and many amenities, it is popular both with those who are visiting the city and with those who wish to live in North London. There are place which might be of extreme interest to many people, including both Alexandra Palace and Alexandra Park, as well as the guy Chester Centre of the Methodist church and the Oliver Tambo Memorial Statue. The area has been mentioned in songs by both the Kinks and Madness. For those who are wondering about the best way in which to get to and from the area, there are two main stations – Alexandra Palace and Hornsey which provide rail access, while tube stations nearby include Turnpike Lane, Highgate, East Finchley, Wood Green and Bounds Green. Even if you do not want to think about public transport, then areas such as Colney Hatch, East Finchley, Crouch End, Harringay, Highgate, Friern Barnet, Wood Green and Upper Holloway are all within easy walking distance. Moving Service is the best choice for those who are worried about either packing or unpacking. 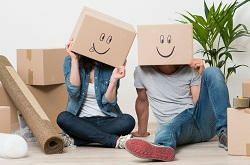 We provide the best packing services in Muswell Hill, N10 which are ideal for anyone who cannot find the time to get everything done or who doesn’t have the expert help which is required in order to get everything packed properly. The services which we offer mean being able to be certain that your possessions will all make it to the new home safe and sound. Sometimes, people who are moving have no idea which services are actually suitable for their needs. That’s why we aim to offer removal assessment services to help discover which solutions will work best for them. 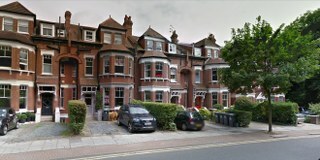 Thanks to the expertise of our team and the broad range of removals services in Muswell Hill which we are able to offer, we can help you identify the kind of help which makes the transition to the new property as easy as possible. So, when you want to learn more about what we can do for you, and to get a free quote for the help you need, just call us on 020 8746 4402 now and talk to a member of our team.